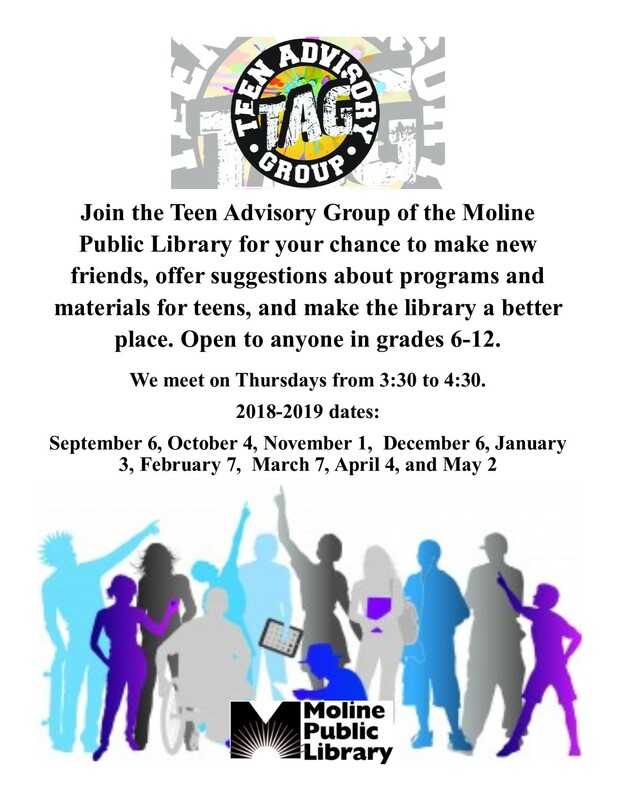 Tweens and teens in grades 6 through 12 are invited to join the Moline Public Library’s Teen Advisory Group. Make new friends, give advice about programs and materials for teens, and earn service credits. Meetings are on the first Thursday of the month at 3:30 p.m. No registration required. For more information, contact the Moline Public Library at 309-524-2470 or visit us at 3210 41st Street, Moline, IL or online at www.molinelibrary.com.